Constructed with a medium level of firmness, this Twin-sized mattress from Signature Sleep is perfect for bunk beds. With 8 inches thickness, it is ideal for teenagers and adults who need extra thickness to support their weight. Its core is made from independently encased coils that isolate motion while sleeping. 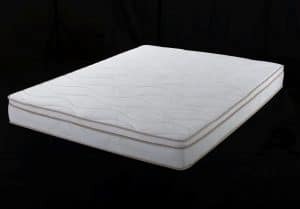 This reversible mattress is made from certified CertiPUR-US foam that contours to the sleeper’s body. Thus, you can assure that it won’t let you down when it comes to experiencing full body support and muscle relief. Another hybrid product, this gel-infused innerspring mattress is a perfect match for bunk beds for kids and adults. It is constructed with a combination of gel foam and innerspring support system that provides a solid feel. Its encased coils cushion the body with even weight distribution. At the same time, it gives a medium firmness level without sacrificing its softness. 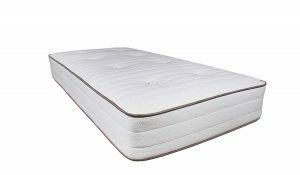 It has a high level of breathability so its surface can remain cool which makes a great mattress for children and adults. Constructed with multi-layered foam, this bunk bed mattress contains independently pocketed pads that relieve pressure points on the body. At the same time, it provides a luxury feeling to its sleepers without increasing its price. Thus, it is considered one of the most affordable and best-selling mattresses today. But taking a closer inspection, its medium firmness level is just enough to pass the comfort test of children. Even adults find this mattress’ support system efficient which is backed by a 20-year warranty. 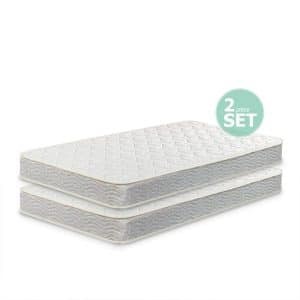 This set of an innerspring mattress is constructed with a layer of iCoil springs makes an efficient base layer for support. These springs are also enclosed in different layers of foams to minimize its discomforting feeling. Its support system also has a motion isolation capacity which comes in handy for sleepers who share a bed. This means that the mattress won’t cause an earthquake feeling every time one of them moves. However, it has a nice bounce which a standard foam mattress doesn’t offer. Currently, this is the best-selling mattress from My Green Mattress which is also budget-friendly. This Pure Echo mattress fits nicely on bunk beds’ frames with its 8 inches thickness. Even though it is only a single-sided mattress, you can always rotate it as often as you like for comfort. Its hypoallergenic and natural materials are made from natural wool and organic cotton. Since it is also handcrafted, you can assure that each process is well-done and checked for quality control. Make your children’s dream of having a comfy bed bunk come true by opting for a Lucid mattress. Believe it or not, this is the slimmest mattress that you will ever find in this list with its 5 inches thickness. Thus, you can never worry about the safety of anyone who would sleep on the top bunk. Its firmness and support level helps children and adults to settle easily in any position. Most importantly, it doesn’t overheat, unlike other mattresses. 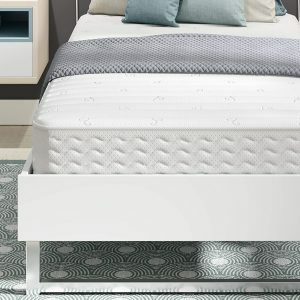 With a versatile designed that is not too low or too high, this 6 inches innerspring mattress is a winner. Despite its innerspring that others find uncomfortable, this Linenspa mattress is perfect for kids. As a matter of fact, even toddlers and teenagers use this to take advantage of its comfort. 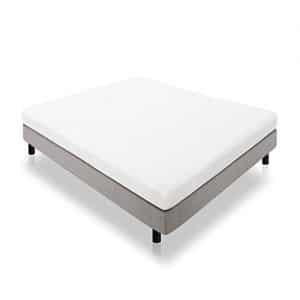 Regardless of the bed surface you have, it can fit nicely and complement any mattress topper for additional support. Its spring coils and inner materials are made for heavy-duty with just enough firm feel. Whatever kind of mattress you pick, considering its level of support should never be ousted from your list. In fact, it is one of the most important things whenever you are planning to buy a mattress. If you feel like all mattress are the same then wait until you inspect their level of support. 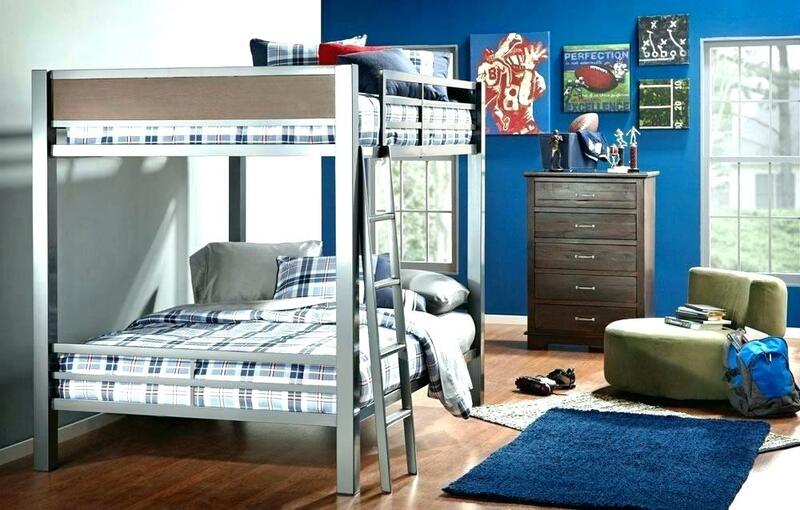 Thinking that you have already bought the best bunk bed on the market might put your mind at ease. 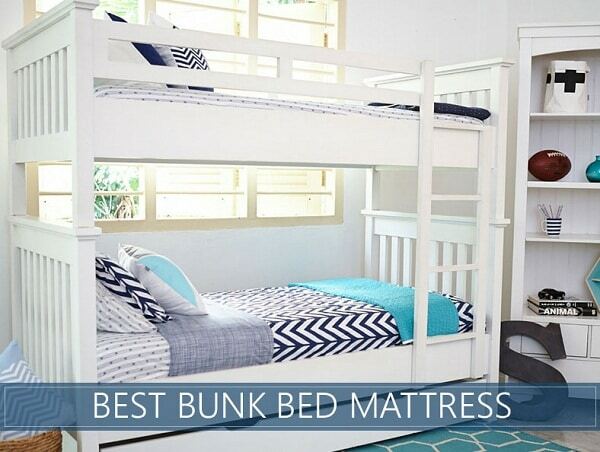 But that is not really enough if you want to get the best mattress for bunk beds. In fact, putting this behind can give you a bigger problem in the future once you started feeling body pains. If you already have a history of back, neck, and/or shoulder pains, a mattress with poor support can only aggravate it. The mattress you pick should be able to distribute body weight evenly and to provide optimum support. This will also help relieve pressure points while sleeping in various positions. Part of considering the mattress’ level of support is the perk of enjoying a comfortable bed. Of course, no one wants to sleep on a bed with a mattress that is hard as a rock. Thus, taking the mattress’ level of comfort comes in handy all the time. Depending on the sleepers’ height and weight, there are different levels of comfort that you can consider. This may also refer to the mattress firmness since it determines how hard or soft it can get. When considering this factor, be sure to feel the mattress yourself to know if it is the right one. Don’t let the pictures or videos fool you and check it yourself after doing a little research. Bunk beds are known for their solid support system though its quality may entirely rely on the materials used. However, you still need to consider the mattress’ compatibility from its type to its materials. Since you’ll be placing it on bunk beds, make sure that it is compatible with a solid based. Putting a checkmark to this will guarantee you that it can also work great on other surfaces. Thus, you will never have a problem trying it on your platform bed, or even your hard floor. Whatever type of bed you have there, size matters a lot if you want it to fit perfectly. If you have a Twin-sized bunk bed in your house then you need to focus on all mattresses of the same size. This goes the same with other mattress sizes that are available on the market. 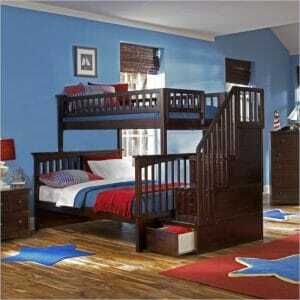 It’s also worth to take note that most if not all bunk beds are available in Twin, Twin XL, or Full sizes. If you already have a bunk bed waiting to be filled with a mattress then you just need to get its size. If you want to accommodate more sleepers, you can combine a Full-sized bottom bed to a Twin-sized bed above. Compared with traditional bunk beds, these combined sizes can fit more sleepers without sacrificing their comfort. Just like in size, the mattress thickness may also differ in order to provide the right firmness you need. Specifically, the mattress thickness may depend on your height and weight. The heavier you are the thicker mattress you would likely need for maximum support and comfort. If the sleepers are children/teenagers that weigh less than 100 pounds each, you don’t need a mattress that’s too thick. Opting for one may feel too firm or hard for the sleepers which may lead to an uncomfortable sleep. Most importantly, the top mattress’ thickness should not go beyond 7 inches for security purposes. Any mattress thicker than that and the guardrails might go to waste for failing to protect the sleeper from falling. If you really need a thicker mattress then be sure that the guardrails on top are higher too. Lastly, check the materials used in the mattress are safe and eco-friendly. Otherwise, you’re wasting money and putting the sleepers’ health at risk. Avoid a mattress that contains harmful chemicals like lead and mercury. Instead, opt for a mattress that is made from natural and eco-friendly materials. We all know how important it is to get some quality sleep regardless of your schedule. Thus, it’s important to take this job seriously especially if it’s for your kids and/or guests. On the other hand, shopping for a mattress can be a little exciting and exhausting at the same time. No matter how much you wanted to get the right one, the wide range of choices can become an issue. 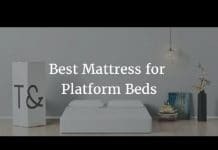 That is why; we prepared this mattress review to serve as your guide for shopping. In addition to the guide above, you may also look into the mattress breathability for a cool sleep all night.